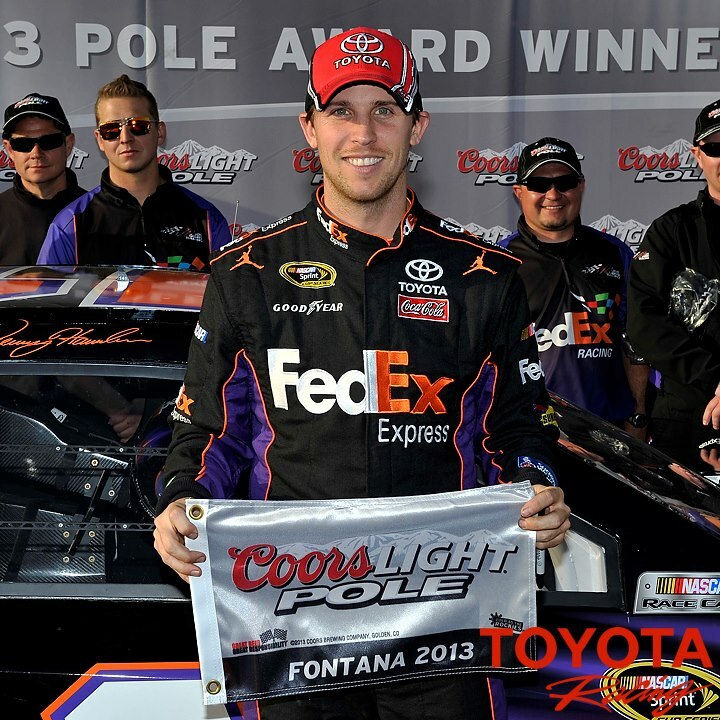 Denny Hamlin Fans » Blog Archive » Denny Hamlin Captures the Pole at Fontana! Denny Hamlin Captures the Pole at Fontana! Denny Hamlin went out 3rd to qualify and laid down a solid lap, a lap that Denny thought wouldn’t hold up after going out so early. It turned into Denny’s first pole the 2013 season! Watch on Sunday as Denny battles to hold the top spot at Auto Club Speedway.